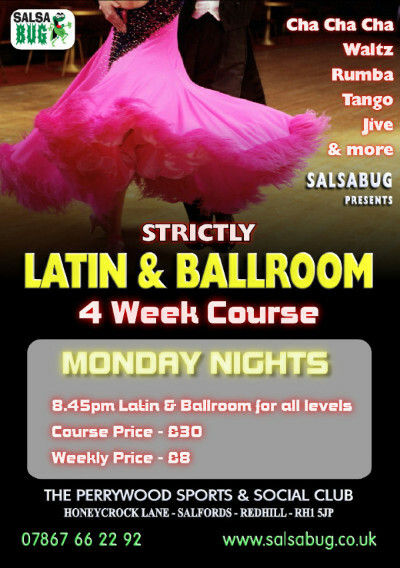 Come and learn Latin American and Ballroom dancing in a relaxed atmosphere. Classes are run in 4 week blocks starting on the first Monday of the month. You can choose to pay for the 4 weeks in advance or pay as you go weekly. Please note: There will be no classes on Bank Holiday Mondays. 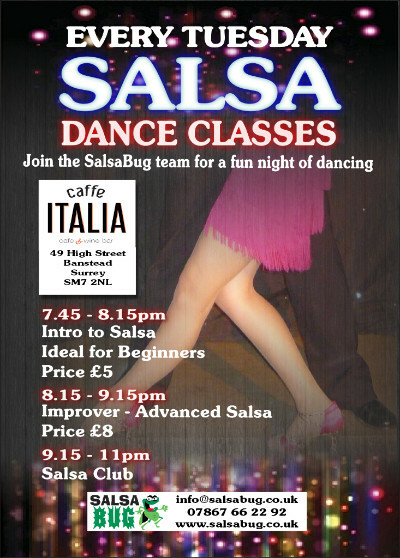 Join us on a Tuesday night for a fun filled Salsa class at Caffe Italia right in the heart of Banstead High Street. No need to book. Just turn up with or without a partner. 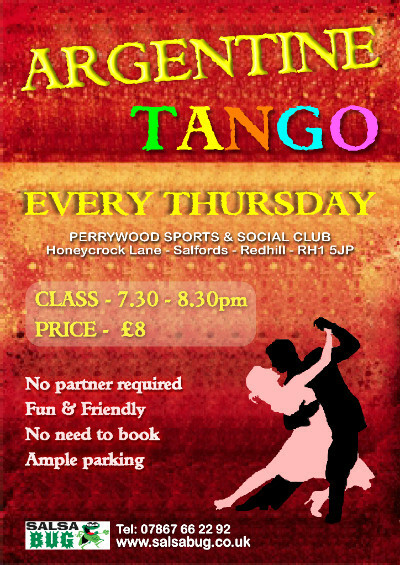 A relaxed and friendly Argentine Tango class for all levels. 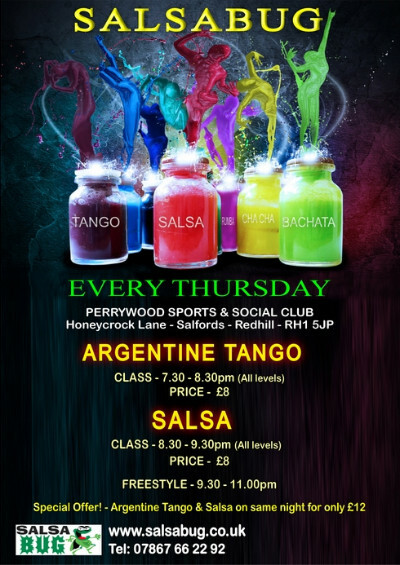 Join us every Thursday for a fun night of Salsa dancing. Great atmosphere and lots of fun at this popuar venue.